Hey Catholics…Get Your VOTE On! There are only 3 days left to Get Your VOTE On for the Dominicans Sisters of Mary, Mother of the Eucharist Team as the Fan Favorite on the American Bible Challenge. 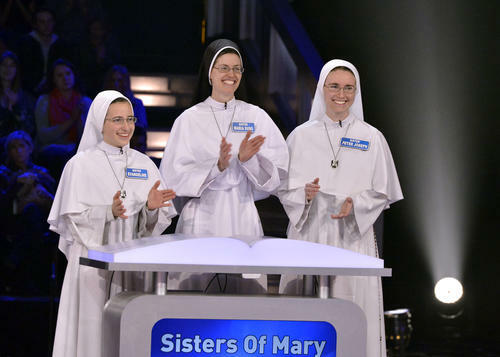 Thirteen days ago, I wrote about the Sisters of Mary being contestants on this Biblical game show and how they made it to the Finals, which will air next week. As Catholics, we need to show our support for this fantastic order of religious sisters that call Ann Arbor, Michigan their home. 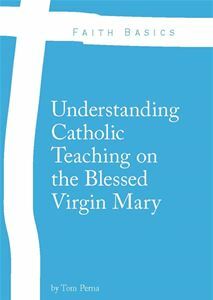 Please visit their website – Sisters of Mary – for more information. 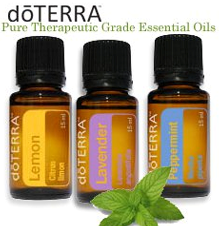 If you have a Facebook page, please like their Facebook Page. And, please go to gsntv.com, scroll down to the bottom of the page, and Get Your VOTE On for the Dominican Sisters. All votes must be in by Sunday, May 19 at Midnight PST. Before you go and Get Your VOTE On at the aforementioned link, take the next 3 minutes and 15 seconds to watch this video below on JOY by Sister Veronica Marie. The joy and happiness that she radiates is contagious! In a world where we witness so much despair and darkness, the joy that these Sisters witness to each of us directly comes from Christ himself. I truly miss teaching with them. The Dominican Sisters of Mary, Mother of the Eucharist don’t hold back the Joy in their hearts, but they walk with that Joy every day. We need to give thanks to Our Lord Jesus Christ for these holy and joyful women who are teaching the young and bringing the New Evangelization to the Catholic Church and the world in the 21st century.